When markets expand niches are created, goes the logic. For builders of tugs, that market is “? oating gas” and the expanding use of lique? ed natural gas, or LNG, as a fuel. In support of LNG, there’ll be more oceangoing tug duty — the new ? oating storage and regasi? cation units, or FSRUs, mean busier LNG carriers, and LNG cargo owners have an interest in tug escorts that share their “carbon footprint”. Still, new emissions rules offer ways to keep using re? 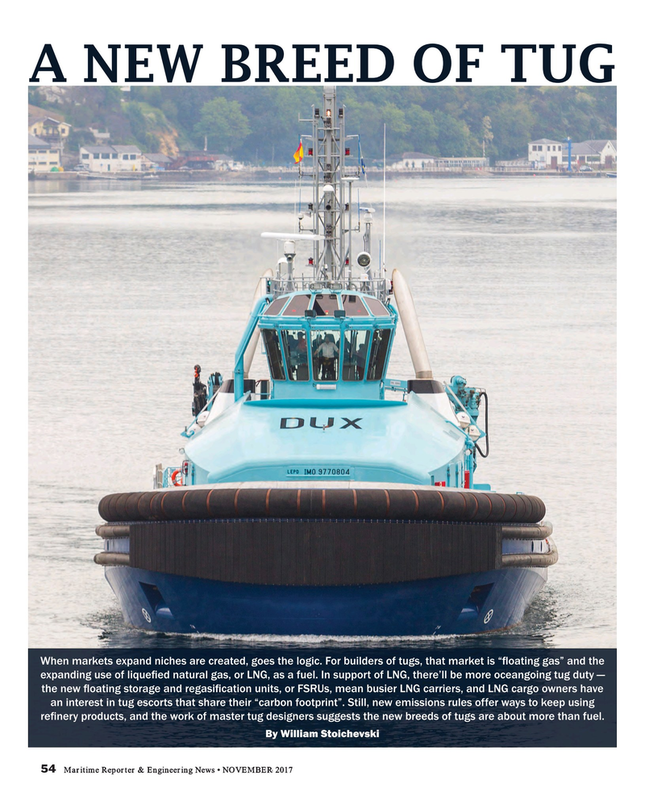 nery products, and the work of master tug designers suggests the new breeds of tugs are about more than fuel.